Who is behind The Bluapple™? Actually, you were not wondering, but now that I've mentioned it, perhaps knowing would be nice? Is it some large corporation that mass produces blue colored plastic apples in a far off land, never knowing their employees personally or stepping foot in the building where all the magic happens? Timmy Chou is the founder and owner of Aureus Products Inc, a small business that manufactures the genius product, The Bluapple. It is an easy and inexpensive small plastic apple that one can place in or outside of the refrigerator among different varieties of produce. Food can be kept fresher longer, by using The Bluapple product to absorb the ethylene gases that cause fruit ripening, and of course, fruit spoilage. A little package goes inside each Bluapple. Each packet contains Zeolites, small little rocks that absorb the gas. They fit simply inside the apple, quietly extending the life of your food. The Bluapple sits neatly among your fruits and vegetables, reminding you that you are not only extending the life of your food, but saving yourself money and reducing waste. You are a fantastic person! 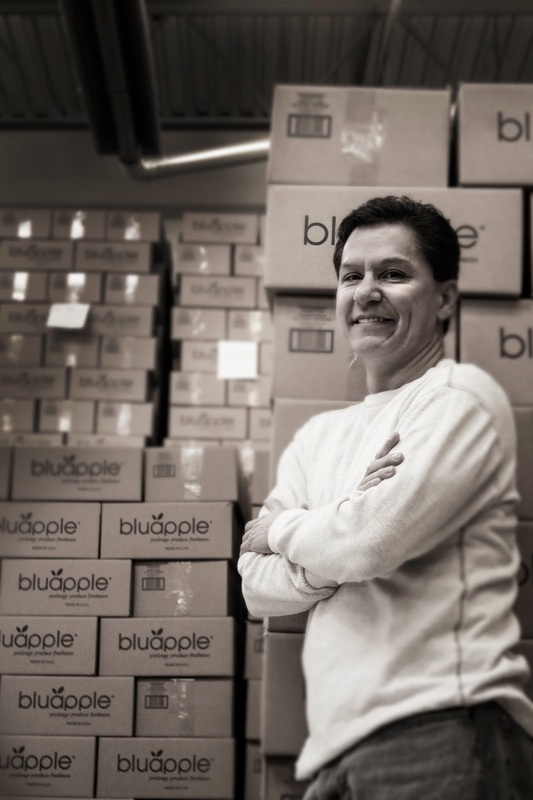 And where does the Bluapple come from before being shipped around the United States the the rest of the world? Yep, right in the good old Western United States in a little city called Woods Cross. Every day, Timmy Chou is around his employees and as he watches over the Bluapples as they get ready to make their debut to the world, ready to absorb the ethylene gases that produce emits. He is dedicated to making a way for his customers to save time, money and help the environment by reducing food waste.